"When You Want IT Done Right, Don't Do it Yourself!" This is The "Service Station". We provide Service. There's no higher purpose than Service to others. We're not in the parts business, we don't markup parts, even if we acquire them for you. We're in the Service business, so we simply provide the Best Service at the Best Price! We always operate with one eye on the past, when pulling up to a Service Station warranted 6 people running out and providing Service with smiles on their faces, but the posted price always stayed the same. Every single decision at The "Service Station" is made in a way that most benefits the Customer 1st, the Technicians 2nd and finally the Company. When all parties involved are happy, everything is better for everyone. 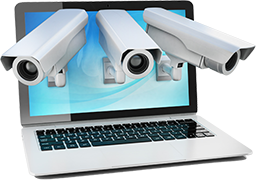 MONITOR your Business or Home 24 hours a day, locally or remotely, with a professionally designed and installed HD surveillance system. Always know exactly who went in or out at exactly what time. Have the capability to show law enforcement HD quality footage you might need later for prosecution. 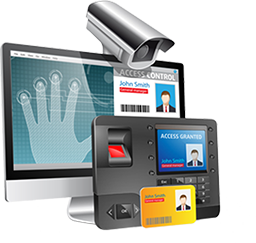 REGULATE entry to your Business or Home 24 hours a day, locally or remotely, with a professionally designed and installed access control system. Always know exactly who went in or out at exactly what time. Have the capability to show law enforcement HD quality, fingerprints, retina scans & video footage you might need later for prosecution. 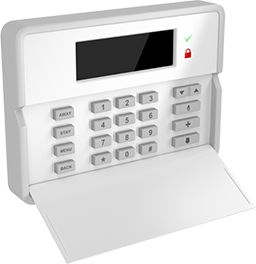 PROTECT your Business or Home 24 hours a day, locally or remotely, with a professionally designed and installed alarm system. Always know exactly who went in or out at exactly what time. 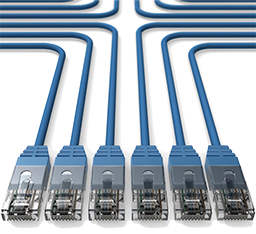 SPEED up your entire network with proper system design and installation to meet your technical requirements. Wireless is wonderful, but it still doesn't compare with the expandability, speed and dependability wired cable. Why not have the best of both worlds? 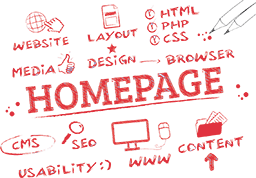 Increase PRODUCTIVITY for your entire network with proper system design and installation to meet your technical requirements. A computer network is entirely dependent upon always using the right tool for the job at every possible failure point. It’s also equally important to have as few of them as feasible and a disaster plan in place in the event, something does fail. 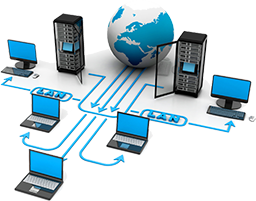 AUTOMATE your entire network with proper system design and installation to meet your technical requirements. Know about problems before they happen and have them repaired before they cause any downtime. When you can't afford to be down, managed services is the solution. 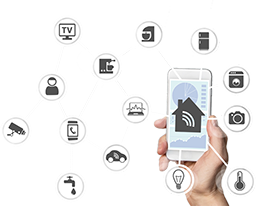 CONTROL everything in your Business or Home 24 hours a day, locally or remotely, with a professionally designed and installed Smart Home / Business system. Whether its lights, sprinklers, the temperature or anything else, a Smart system makes it all possible. ENTERTAIN all your guests, family and friends with an in home sports bar, movie theatre or gaming arcade. Choosing the perfect gear for your situation and installing it in a way that best suits your end game, makes all the difference in the world with regards to your end result satisfaction. Some people like to watch, some people like to cheer, some people like to immerse. Which one are you? 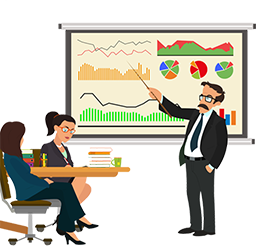 ENGAGE potential buyers, investors, clients and employees with interactive, audio / visual solutions from 3D projectors to digital white boards, Apple Airplay mirroring, video teleconferencing and more. When you really want them to pay attention, give them a reason. 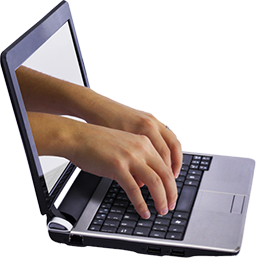 ATTENION grabbing is the 1st and most important factor in creating a successful website. USABILITY is second - if your site isn't super easy to navigate, no one will even bother to try. CLARITY of message ("call to action") is third, but cannot be underestimated. Getting your visitors to have the experience you desire takes expertise. SHORT videos get watched 10 times more than long videos. SWEET videos are entertaining, engaging and educational. TO THE POINT videos don't confuse people. 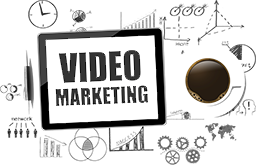 Even though long videos allow you to say everything and fun videos allow you to entertain yourself, getting your visitors to understand exactly how you can help them in the least amount of time, should be your main objective. EVERYWHERE, That's where you want to be or at least that's what it needs to look like. Are we saying you must have a presence on every social media platform? No. But you should definitely have a massive presence, wherever your target customers are. You can't be everywhere all at once, but with the right mix of social media, you can look like you are. Whether it’s Low Voltage Technology, Information Technology or Audio / Visual Technology for Work, Home & Play, rest assured The "Service Station" has the Passion, Talent & Experience necessary to take your Commercial, Residential or Entertainment projects from the idea phase to the completion phase, as promised, on time and under budget. 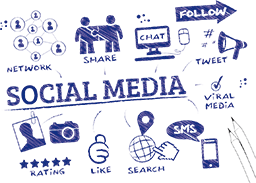 Orchestrating a successful Technology Project of any size is a skill that takes years of on the job and in the field experience to Master. Our Owner, The Service Man has done nothing but IT Project Management since 1992, starting with multi-million dollar projects as an Airman in the United States Air Force. In 2000, he successfully launced and continues to represent The "Service Station" in the community, the industry and as an extremely passionate Active Duty & Military Veterans Advocate. Every single Technician that works with The "Service Station" is a hand selected Expert in their chosen field of Technology. Every single project is personally overseen and orchestrated by The Service Man & our team of Project Managers, Master Technicians and Leading Technology Consultants. No matter what Technological hurdle you are attempting to overcome, The "Service Station" has the Passion, Talent & Experience you need to get the job done as promised, on time and under budget. Technology Projects Experts! - The "Service Station" is Proud to be a Veteran Owned & Operated Business and active member of the Community. Please use our newsletter form below if you would like to join us in all the fun and exciting ways in which we help our Active Duty & Military Veteran Community. Copyright (c) 2018 The "Service Station"" - Technology Service Experts!